Lachlan is another new addition to the Honors Ambassador team. He is a third-year health sciences student who is hoping to be matriculated into medical school after graduating. Outside of the classroom, Lachlan enjoys taking road trips, attending concerts, and watching B-movies. 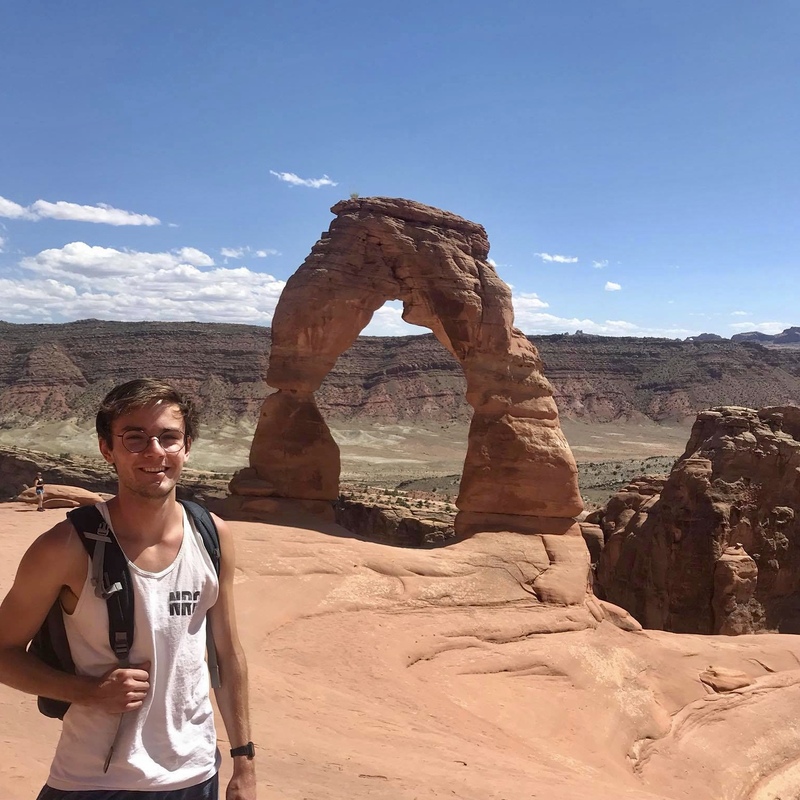 His favorite aspects of the Honors College are priority enrollment, the incredible study abroad opportunities, the Honors exclusive Anchors, and the subject-specific discussion groups. Swing by the Ambassador’s office in 430 Cherry Hall during Lachlan’s office hours and ask him for his thoughts on the Joe’s vs. Q39 BBQ debate.